Home buyers used to have it easy – all they had to consider when buying a home was price, condition and location. Getting loans was a snap, and reselling the home was never a worry. But today’s recessionary market is throwing home buyers a curve. They’re not so certain home buying is a good investment, and neither are their bankers. If you’re a home seller, you need to know what buyers are facing in today’s real estate market, so you can do the one thing that will help the right buyer buy your home. Buyers begin their search for a home with prices. Buyers may search many neighborhoods or look at homes out of their price range to get an idea of the marketplace. But, when it comes to serious shopping, they know their price and use it to see which homes they can afford. Buyers are prequalified by their lender. A serious buyer will not be satisfied with day dreaming for long. They’ll share their financial information, and get prequalified by a lender who will tell them exactly how much they can afford. Is your home in the right price range? Buyers work with real estate professionals. Once they have a green light, buyers start shopping. They ask their real estate professionals to start gathering and presenting homes they might like. If your home is priced too high, your best, likeliest buyer will never see it. Is your home overpriced compared to the competition? Buyers have incredible sources to compare homes. Videos, virtual tours, feature sheets and multiple photos are the eye candy. They quickly sort through what’s available to a short list of the most appealing homes in their price range. Did you de-clutter, clean, stage and update your home? Buyers choose homes based on bang for the buck. As buyers walk through listings with their real estate agent, they’ll quickly make snap decisions based on size, condition, and location as compared to price. Does your home offer the most bang for the buck? Buyers use the same comparables you do. Just as you and your real estate agent have examined the market, buyers and their agents do the same. They know which homes are overpriced, and they’ll assume that an overpriced home comes from either an unmotivated or unrealistic seller. They’ll make their offer to the seller whose home offers the most for the money and who appears most reasonable to an offer. Do you appear negotiable? Buyers’ banks confirm prices with appraisals. Today’s appraisals are strict. New codes of conduct require banks to avoid pressuring appraisers to “hit the numbers.” Appraisers are required to go back as long as one year, to determine if your home is in a “declining market.” If so, the appraisal can come as much as 5% under your list price. If the appraisal is under the list price, the bank won’t lend. Are you prepared to lower your price to make the deal go through? Buyers face unprecedented banking challenges. Banks no longer offer non-conforming loans with abandon. Many banks are balking at offering conforming loans, and those are government-guaranteed. They require stricter proof from buyers that they are able to repay their loans, often qualifying them at much lower levels. Are you willing to help your buyer by paying down points? Buyers are scared. They have to have a good reason to buy a home, and news of declining prices hasn’t provided much incentive. Help them by showing them all the ways your home has rewarded your ownership. Show them how much you pay in property taxes, how much you get as a homestead exemption, how much you’re able to write off your income taxes as a homeowner. Are you willing to share what buyers need to know? Buyers don’t have to buy. They want to buy. They want the joys of homeownership, and it’s your job as a homeowner to provide them with the tipping point they need – the best home at the best price. Is your home priced to sell? A buyer’s market means it’s the seller’s turn to be flexible, especially with sale terms. Purchase price, closing dates, move-in dates, storage, appliances, window treatments, points and fees may all require a little negotiation. Whatever the terms, don’t let personal feelings stand in the way of a good deal. In a buyer’s market, curb appeal, cleanliness, overall good condition and updates are especially crucial. Any little flaw should be taken care of before the first buyer drives up. Attend open houses in your neighborhood to see what “sell-ready” really looks like. If you’re shy, ask your Better Homes and Gardens® Real Estate sales associate to walk you through a few sell-ready examples. Back home, start with the exterior to ensure you’re making a good first impression. Reseed or throw down some turf on lawn patches, change the lights in the lamppost, and if necessary, reset the walkway stone. Clean the interior beyond your standards. Even if they are impeccable, rent an industrial carpet cleaner or hire a professional cleaning service. 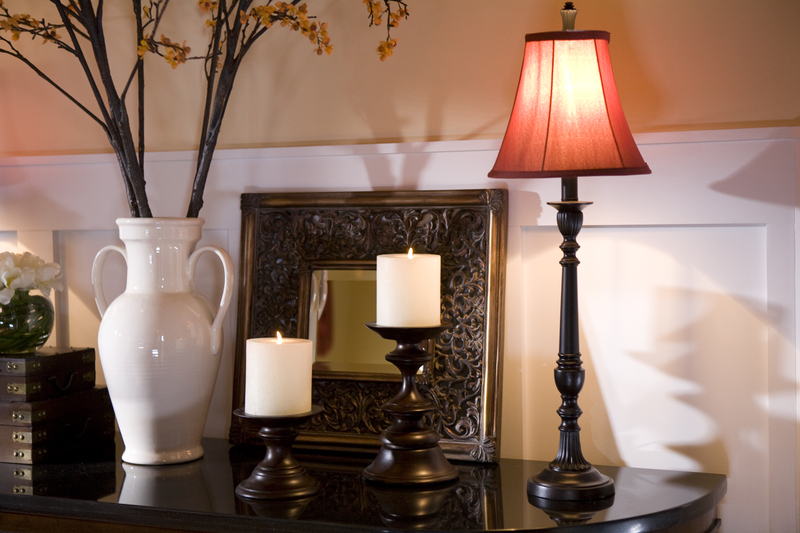 Brighten the interior ambience with light fixture updates, as new lighting is one of the most inexpensive and noticeable improvements you can make prior to listing. Fix leaky faucets and make sure the water pressure is strong in both the kitchen and bathrooms. If necessary, a great way to improve the appearance of your home is to paint. Use only neutral colors that can easily lend themselves to different décor and styles of furniture. Don’t dismiss lower-than-expected offers. Instead, consider buyer incentives that help you meet your asking price. Offer to pay the buyer’s closing costs, moving costs or loan origination fee. These can help the buyer with upfront costs. As well, you may consider offering a limited home warranty that covers HVAC systems and some appliances for a definitive period of time. Be careful of purchase offers that are contingent on the buyer selling their home first. Their home may be in a softer market than yours and you could be in for a long wait. Be sure that the purchase agreement includes a contingency-release clause. This way you’ll be able to sell if another buyer comes along. Work with your Better Homes and Gardens® Real Estate agent to find creative solutions to make a deal come together. The purchase price is just part of the deal. Anything that makes your property stand apart from the competition will give it an edge in a buyer’s market. It is important for the home buyer to really understand the market in his/her area before making an offer. We, as Realtors, can give you our input, but it is important to spend the time to educate yourself as well. In the Sacramento area home prices are already at rock bottom, so putting in a low ball offer isn’t going to get you the house. In fact, most of the time you don’t get the house unless your offer is above the asking price for traditional sales. How much above asking price will depend on the number of offers, whether or not the house is in a highly desirable area, the home has designer or uncommon features, etc. In many cases, it may not matter what the comps show. Value is what you are willing to pay for the home, not necessarily what the home is appraised for. And if your Realtor is doing their job, they should be on good terms with the listing agent to find out as much as possible about other offers, the seller’s bottom line, the seller’s motivation for selling, and the like. Not all listing agents are forthcoming with information, but sometimes the buyer’s agent gets lucky if they build a good enough rapport with the listing agent. To make matters worse, inventory is extremely low right now. There are a lot of buyers out there looking at the same homes. It may take a buyer losing out on several homes to realize that paying above asking price may be the only way to get the home they want. When this happens, the buyer may lose out on that perfect home. Know your market and understand how difficult or easy it is to find exactly what you are looking for. Determine how much you are willing to pay to get the home you want. Make sure you have a Realtor that asks all the right questions to all the right people.